Jared in Baton Rouge, LA | 6071 Bluebonnet Blvd. Locations › LA › Baton Rouge › 6071 Bluebonnet Blvd. 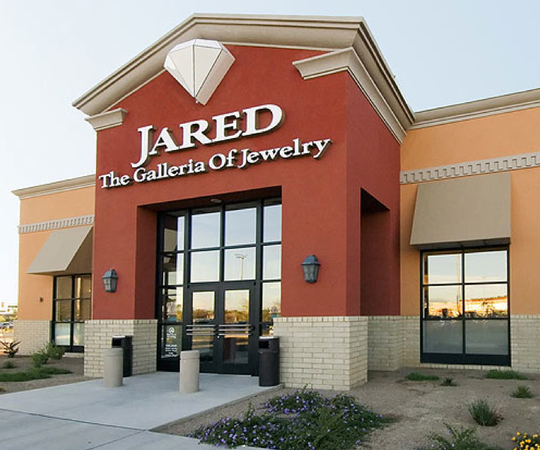 The first Jared store opened its doors in 1993, revolutionizing the whole idea of how a jewelry store should operate. Jared is not located inside the mall. Our guests come just to see us. And we do everything we can to make their visit enjoyable as well as successful. We offer five times the selection of ordinary jewelry stores, price it well, and present it with the help of a team of experts, thereby creating the ultimate jewelry shopping experience. Come learn more about our engagement and wedding rings, diamonds, gemstones, watches, and personalized jewelry. Visit Jared in Baton Rouge today.